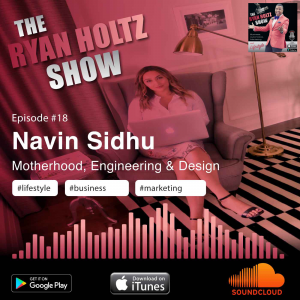 In this episode of The Ryan Holtz Show Podcast, special guest Navin Sidhu of Fab Hab Interiors Inc drops by to chat all things interior design, motherhood, entrepreneurship and growing up with a big work ethic. I really wanted to have Navin on because she is different. Just different. Being a female who carved out her own path amidst all the perceived obstacles in her way sets this podcast up to provide immense value to people out there who are at a job feeling that there is no way out and no options. We also talk about hipsters aka fake hipsters who proclaim one thing but might not be as authentic as they seem. In short, this podcast is a complete knowledge bomb! If you need a extra pump of motivation, inspiration and actionable steps to get you on your way to achieving your goals, this is the episode for you! 5. Some people may not understand the difference between design and art, is there a difference? And why? 6. What is the biggest challenge in making a career change? Biggest challenge in the Interior Design world? 9. What is one thing that propelled you forward, the turning point. What can you tell people that feel safe at their job? As always, please rate the podcast on iTunes, Google Play or Stitcher! I really appreciate you listening! 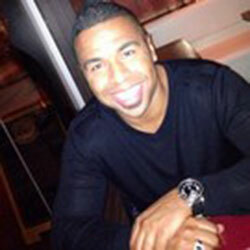 Ryan Holtz provides a top notch online marketing workshop! He is truly one of our great innovative people in the marketing industry. I felt re-energized and filled with more knowledge and ideas when I left. I recommend attending his workshops no matter what level of online marketing skills you have. He brings it all! 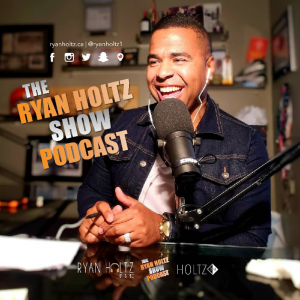 Working with Ryan Holtz Marketing over the past year has been a game changer for our business. Getting us to be competitive and relevant with social media, educating our staff and managers, giving us the knowledge we need to perform are some of the tools we have acquired. Ryan’s energy and passion for what he does shines through and is infectious!! As a business partner, I’ve had the pleasure of working with Ryan in his role of Marketing Manager at Zender Ford. A true marketing professional, Ryan keeps his finger on the pulse of current technology and has used this experience to develop a well-rounded and customer focused marketing strategy at Zender Ford. He values the quality of the relationship with the end customer above all else, and it shows in his attention to detail and to the quality of every project delivery he’s engaged in.